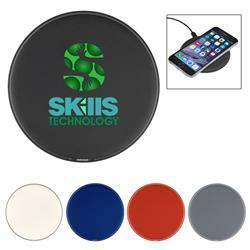 Custom Wireless charging pads with your custom logo. 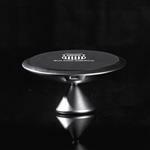 Charge Qi Enabled Devices Wirelessly By Placing Compatible Device On Top Of Charging Pad. LED Indicator Light. Features A Micro USB Input (Cord Included). Output: 5 Volts/1 Amp. Non-Slip Bottom. 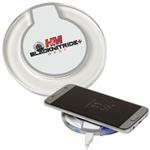 Please note that some computer and laptop USB ports may not supply enough power to charge a device using this charging pad. 4" Diameter. Available Colors: Black, Blue, Red or White.